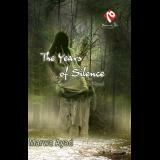 Egyptian author Marwa Ayad's debut English-language novel *The Years of Silence* (contemporary romance/women's fiction published by Malamih Publishing House) is currently a national bestseller (among the English-language books in Egypt). The novel was officially released on Friday 24 April, 2009 and became a bestseller a few weeks later. After a tragic incident, divorced and heartbroken, Egyptian 27-year-old Maya Seif is determined to move on, and find a new career in publishing. When she realizes she can't get Yusuf, her first love, out of her mind, she decides to email him. Yusuf Omar, an ambitious American-born, Egyptian-raised man is a thousand miles away from Egypt, and going through difficult times himself. The last thing he expects is an email, after all these years of silence, from the young woman he was in love with seven years ago. Between Egypt and New York, little do they know how their lives are about to change forever, but not until they overcome the most difficult challenge. Narrated by Maya, this is a story of great love lost and found, and the risks two people in love are willing to take to be together when their love is the greatest risk of all. Take a look at the press release.